On the other side there are spaces to fill out your name and address details, attach a postage stamp. 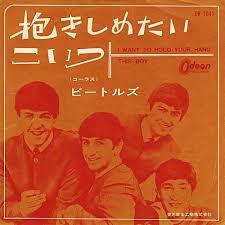 We thought it looks like an offer to send it off to receive an additional CD single. 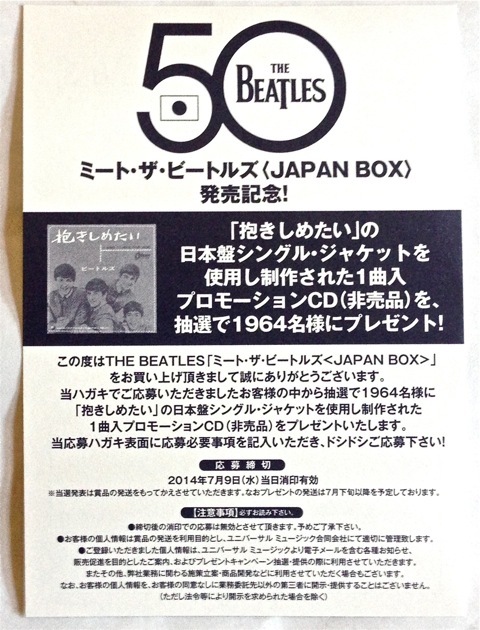 Sadly, the CD Japan site also says that this special offer/application postcard is valid only for purchases in Japan…. So, it looks like only a few lucky Japanese Beatle fans will be getting what undoubtably will become a collectors item to add to their Japan Box box sets. This entry was posted in Beatles, Beatles Collecting, Beatles Music and tagged Beatles, Beatles Collecting, box set, Japan Box, postcard by beatlesblogger. Bookmark the permalink. Wow Brilliant piece of information here. useful post.